Former U.S. Interior Secretary Bruce Babbitt speaks Thursday with Frank Hugelmeyer, who recently stepped down as the Outdoor Industry Association's CEO. 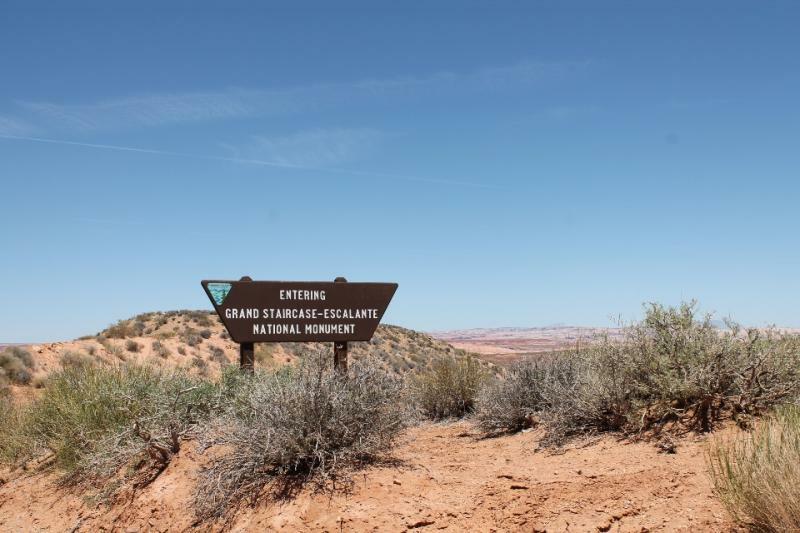 The The outdoor recreation industry should be looking to expand national monuments like Grand Staircase Escalante, says former Interior Secretary Bruce Babbitt, who says federal public lands are under attack by the lands-transfer movement. A former top lands leader says America’s latest Sagebrush Rebellion is a danger to the nation's public-lands heritage. 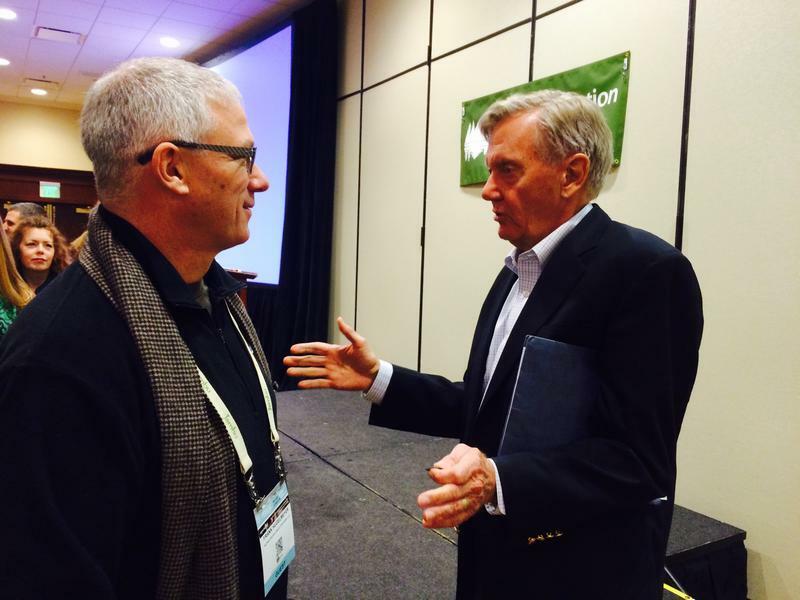 Former Interior Secretary Bruce Babbitt, speaking at the Outdoor Retailers trade show in Salt Lake City Thursday, urged the industry to fight back. His Utah critics hanged Babbitt in effigy years ago over creating the Grand Staircase Escalante National Monument. Now he’s urging public lands advocates to use the outdoor industry’s clout to lobby for expanding federal lands. Babbitt pointed to the state’s 800-page economic report on transferring federal lands to Utah and noted it devotes only one, cryptic paragraph to the value of wilderness. He cautions against dismissing this new Sagebrush Rebellion, saying it’s a threat to the very existence of the nation’s outdoor recreation industry. Ken Ivory is the Republican state lawmaker behind Utah’s lands-transfer effort and the national movement. 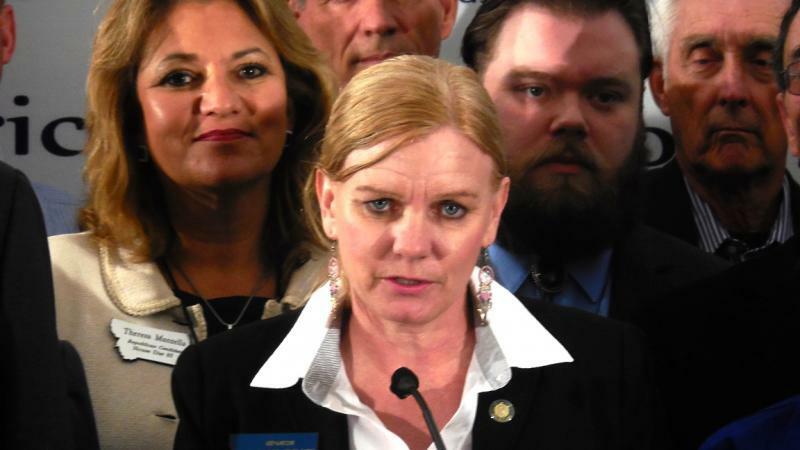 “I don’t know how much more hyperbolic you can get in one statement,” counters Ivory, who contends states would do better managing natural resources, wildlands and wildlife. “He’s clearly absolutely wrong and hasn’t bothered to look into the situation. During Babbitt’s tenure in Washington, the Clinton administration created 20 national monuments. Babbitt joked Thursday about the outrage in Utah over the creation of the first of those monuments, the Grand Staircase. At the time, it was so unpopular it was announced in Arizona. Former Interior Secretary Bruce Babbitt on the importance of public input. 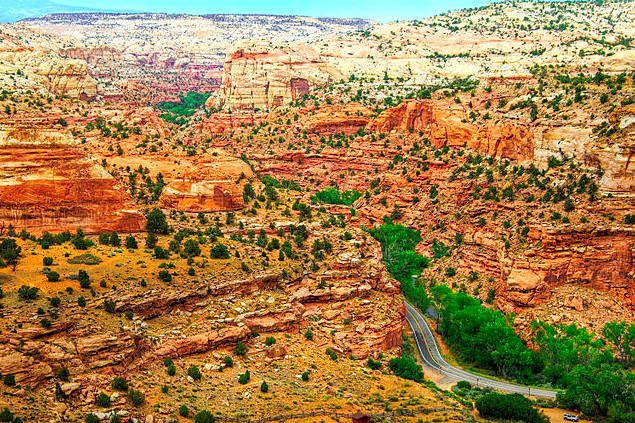 Utah lawmakers will have to wait a little longer for an analysis of a federal lands transfer. The state public lands policy coordinating office told them Wednesday a report on transferring federal lands to state hands still needs finishing touches. Assistant Attorney General Tony Rampton said the analysis is clear-eyed, scrupulously objective and exhaustive at nearly 800 pages. The Grand Staircase-Escalante National Monument covers 1.9 million acres of Kane and Garfield Counties. It’s not the easiest place to visit, but there’s an effort underway to improve access along one of its most popular roads.